The online parenting support networks such as Netmums have been supporting Mums and Dads across Britain for years, but recently a new online collective, known as “Instamums” has been growing on Instagram. 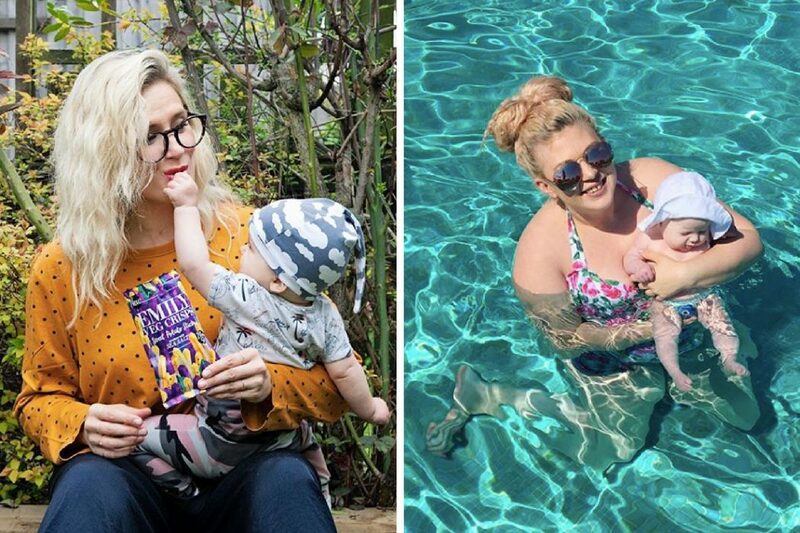 These Insta-parents are documenting their own parenting experiences on the social media account, giving their real-life experiences of the highs and lows of parenting, and supporting their followers. Their accounts have become so popular as much due to their often beautiful images, as well as the images showing the “reality” of being a parent, such as breastfeeding struggles, juggling parenting multiple children, working and parenting, and many other topics. I thought we would take a look at five glasses wearing Instamums, the style they employ, and their general badassery! Anna Whitehouse is the epitome of a modern, down to earth, realistic mother. She documents her parenting experiences alongside her husband Matt who also runs an account [papa_pukka], talking about the reality of things such as breastfeeding, the limitations of baby changing facilities, and mostly, trying to promote her campaign called Flex Appeal. This campaign is focused on promoting a flexible approach to returning to work following parental leave, giving parents the ability to return to work, whilst also being able to do their work around childcare and other considerations. Anna and Matt are hugely influential and recently won a bronze award for their podcast at the British Podcast Awards. Not only is Anna blazing a trail in the parenting world, she is also a beautiful, stylish woman and we love her glasses style. Anna tends to go for oversized, vintage style glasses which compliments her curly blond hair and quirky style. 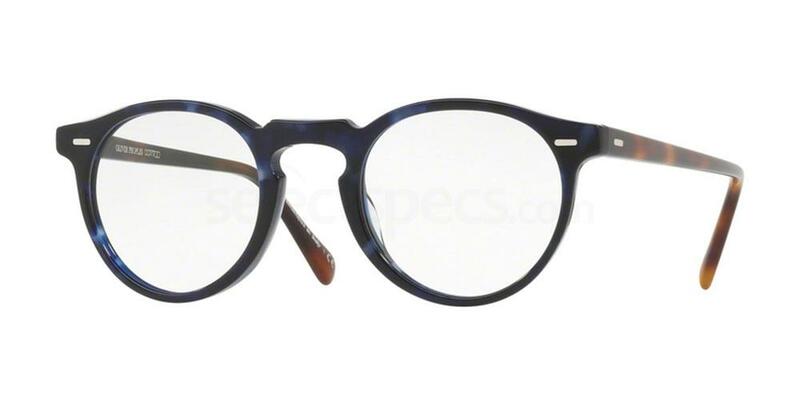 The Oliver Peoples OV5186 Gregory Peck glasses are very similar to those that Anna wears and are a lovely oversized pair of spectacles for anyone wanting to emulate this style. Nikki from TenofZen Instagram account is a mindfulness guru who specialises in providing mindfulness tools to mums. Her website states, “10 of zen provides mindfulness tools and training for mums. We aim to help mums to stress less and love more so that every member of our mama tribe is better equipped to thrive”. She gathers information from real mums as well as industry experts to build a set of tools from free online webinars, to full retreats. 10 of zen is a wonderful resource for mums and dads alike, and Nikki has built a loyal following on Instagram who love the photographs she shares from her own life, inspirational quotes and more. In regards to eyewear, Nikki tends to stick to a darker black, traditional style frame which are slightly oversized. We have many frames on our website which match this style, however, we think the Tiffany & Co. TF2094 glasses are a lovely match for this style as the front of the frames are in the traditional style and are plain black. 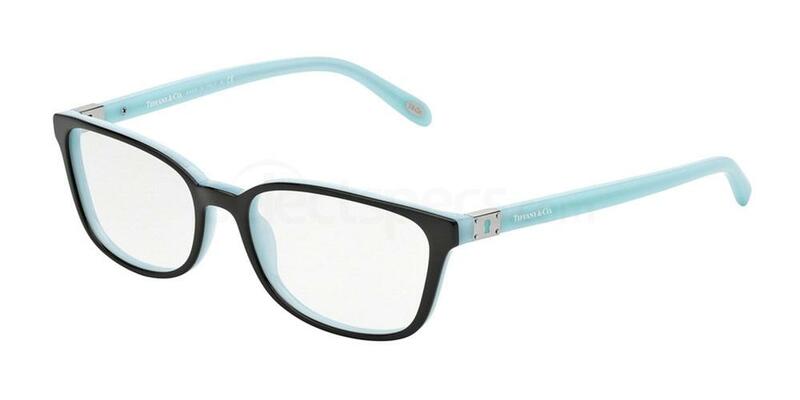 However, these glasses are a little special as they feature the signature blue Tiffany colour on the arms and at the rear of the frames, giving an understated elegance and style. Clemmie Telford is another London-based Mum who curates a beautiful Instagram account with over 70k followers. She is a creative director and blogger for Mother of All Lists, her motherhood blog. 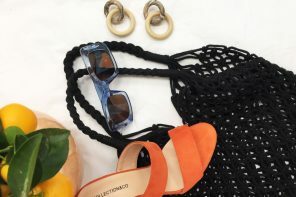 Clemmie states on her blog that she began the blog during maternity leave after the birth of her second son, as a way to express the highs and lows of motherhood. “Forget ‘putting on a brave face’ or sizing-up other Mum’s at the playground. Looking after small people is chaotic, frustrating, exhausting and relentless. To survive, us parents need to stick together and laugh at the madness.” What we see on her Instagram account is a lovely mix of beautiful family pictures, as well as photographs which are designed to support and encourage the strength in other Mums. Clemmie doesn’t wear spectacles all of the time and when she does, she tends to go for a traditional, black frame style. 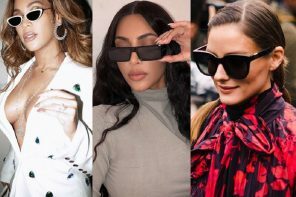 She does, however, wear some truly beautiful sunglasses and so we had to include her in this list. The William Morris London SU10001 glasses are a good match for the ones that Clemmie is wearing in the above image. 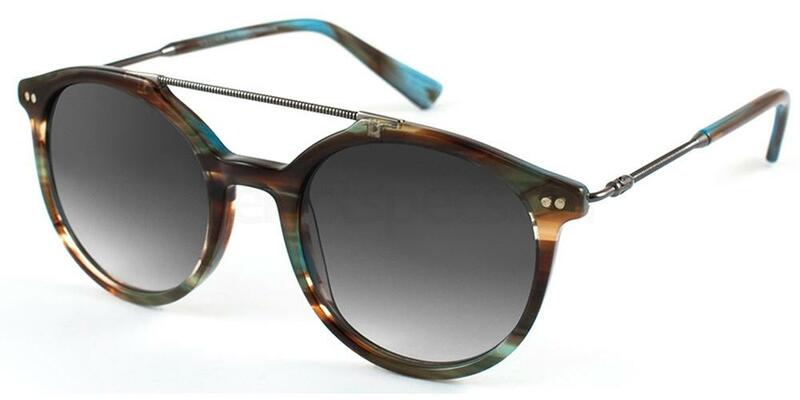 Both feature a rounded lens, tortoiseshell design in the frames and support bar above the bridge of the nose. Allie Richmond has the most adorable Instagram account – it features her triplet toddler daughters, Emmersyn, Dawsyn and Scarlett. Allie records the day to day life of being a “mum to multiples” and she shares both styled images of her daughters in beautiful outfits and costumes, as well as pictures of her girls toddling around their Florida home. Allie is a beautiful glasses-wearing Mum, and she changes her style of eyewear up regularly, however, we particularly like the cat eye style of frames which she is wearing in the above image. 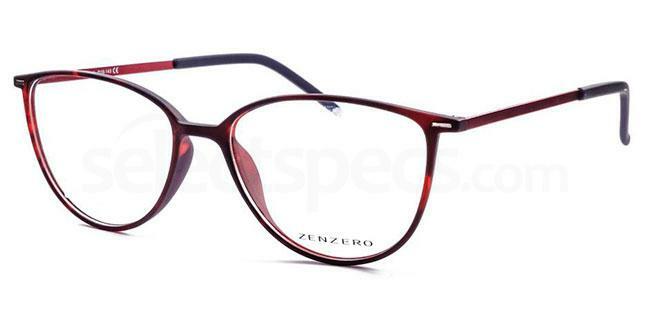 SelectSpecs have a number of these frames available on our website but we particularly like the following Zen Zero ZZ 6775 glasses as they are similar to the ones that Allie wears in that they have a thinner frame and are oversized which keeps the style looking on trend. Louise Pentland, creative director of Sprinkle of Glitter, a blog and YouTube account is one of the most famous Instamums in Britain at the moment. She is mum to two little girls, Darcy and Pearl and she has been documenting her life as a Mum, including a certain period as a single mum, since 2010. She recently changed the focus of her account, changing from a teen and young person focus, to a more grown up, adult-focused channel and since then she has spoken more about the reality of being a parent, including sharing pictures and stories about the recent birth of her second daughter Pearl. Louise has a refreshing, funny, honest approach to motherhood and yet she is still an incredible businesswoman. She manages her creative YouTube business alongside an emerging career as a fiction writer. Louise doesn’t wear glasses regularly but she does have a fantastic sunglasses collection which she wears with style. In the above image she wears a pair of aviator style sunglasses. 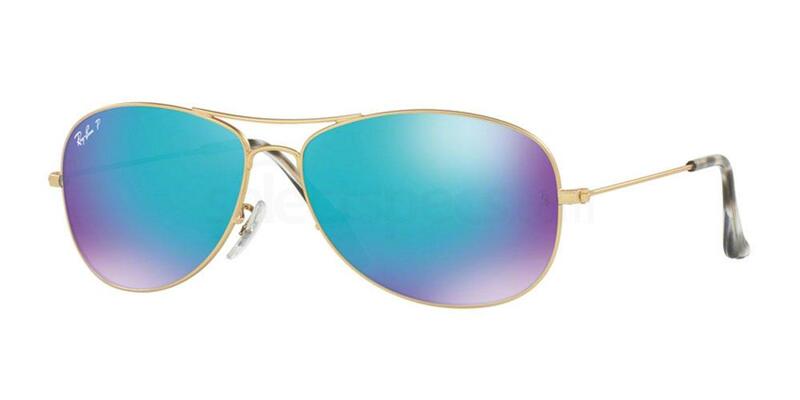 SelectSpecs has a wide range of aviator style sunglasses but we think these Ray-Ban RB3562 classic aviator sunglasses are a great match for Louise’s. 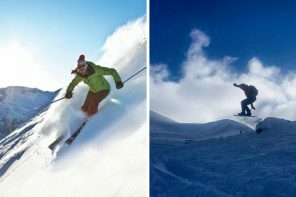 Enjoyed reading this article about Instamums? Why not read a little more? Instamum Alex Steadman from The Frugality account has a great eyewear style! – read more.